One of the developers we come across quite a lot is ' EgoTrip ', he has made many games over these past years of writing, such as ones for the Amstrad CPC, ZX Spectrum and even his own Dizzy adventures. 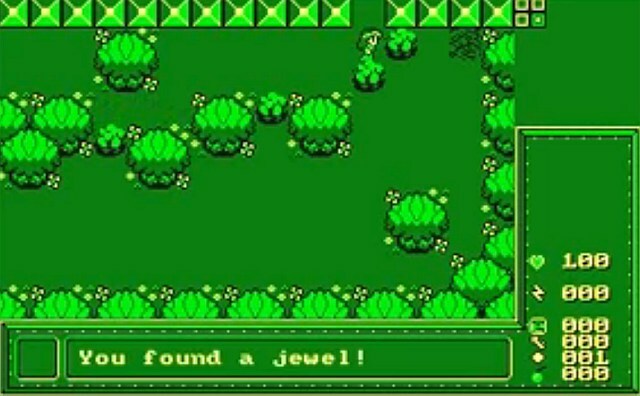 But as he is a guy that never rests, he's moved on to his next game and this one looks to be a top down action adventure developed using CPCtelera that involves picking up items, jewel collecting and shooting at enemies. Currently at a very early stage, with alot of programming still to be done, the game does have sound effects and a title screen tune and EgoTrip hopes to be able to run the game in 64k, basically on a base bones 464. There is also a basic puzzle as the developer mentioned you cannot go north without the torch. Well, you can, but you are likely to get very lost. So you find the torch, then you can go north, and collect the three jewels. The jewels reappear though. The torch does not, but its not optimal how I have done it. I need to figure out how to stop them reappearing then I can use the same routine for the torch (and other collectables).